Virtual reality luminaries Chris Milk and Aaron Koblin tell how a shared group experience powers their latest experience, Chorus. WITHIN is the premier destination for innovative, entertaining, and informative story-based virtual and augmented reality. We bring together the best immersive experiences from the world’s finest VR creators—from gripping tales set in worlds of pure imagination to documentaries taking you further inside the news than ever before. WITHIN supports all major headsets, including Oculus Rift, Samsung Gear VR, HTC Vive, Sony Playstation®VR, and Google Daydream. To start enjoying our ever-growing roster of experiences, download our app on all major platforms today. 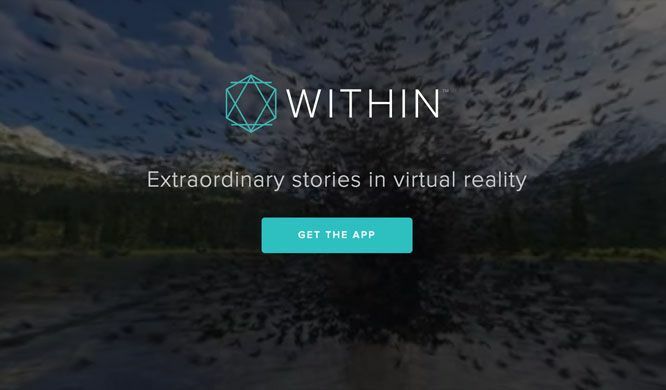 WITHIN was founded by award-winning filmmaker Chris Milk and renowned technologist Aaron Koblin with the goal of exploring and expanding the potential of immersive storytelling. Along with our sister company, VR production house Here Be Dragons, we collaborate with companies including Apple, The New York Times, NBC, Vice Media, National Geographic and the United Nations as well as artists including U2 to bring to life and distribute premium immersive stories in a variety of genres. Investors in WITHIN include Andreessen Horowitz, Temasek, Emerson Collective, 21st Century Fox, Raine Ventures, WME, Live Nation, Vice Media, Tribeca Enterprises, Annapurna Pictures, Legendary Pictures, and Freelands Ventures.